How to Perform Akarna Ddhanurasana and Benefits Of This Archer Pose Yoga!! : Vydya Health - Find Providers, Products. How to Perform Akarna Ddhanurasana and Benefits Of This Archer Pose Yoga!! Akarna Ddhanurasana is derived from Sanskrit word “Karṇa” denoting the ear bow pose. The prefix ‘A’ of Akarna Ddhanurasana denotes ‘near’ and the ‘Dhanur’ denotes ‘bow’. The Body of practitioner will resemble the Bow and Arrow pose denoting the archer aims for releasing the arrow from bow. Therefore Akarna Ddhanurasana also known as the shooting bow posture and the main aspect of this asana is to pull foot near to the ear that resembles the archer. “Archer Pose” position resembles the archer and hence the name Akarna Ddhanurasana. Akarna Ddhanurasana is done in the sitting position and you can follow these steps to excel in the asana. Beginners can try this Akarna Ddhanurasana Asana with the guidance of the expert yoga master as this Asana comes under the intermediate level category. Most of the people who like to master the art of yoga can try the intermediate asanas. Akarna Ddhanurasana Asana exerts great strain on the hand, legs as well as joints. For improving the blood circulation in the hips and knee joints, the Akarna Ddhanurasana Asana would be the finest option. When you are trying this Asana, you need to Inhale and raise your foot up to your ear and pull your foot as much as possible instead of bending your neck. Inhale normally when bringing your foot to your head. Exhale and return to original position placing down to your thigh. Beginners feel it hard for practicing this Akarna Ddhanurasana Asana as they get strain. Practicing for 10 – 15 seconds for Akarna Ddhanurasana Asana would be quite easier. Akarna Ddhanurasana is sufficient for you to feel the flexibility and strength in the internal organs. It is also possible for preparing the sequence consisting of asanas along with the Akarna Ddhanurasana for promoting more general flexibility of the hips, abdominal muscles and leg muscles. Akarna Ddhanurasana strengthens your legs and builds up the core muscles in the excellent manner. It also improves the concentration of blood circulation in the body. Akarna Ddhanurasana Asana anatomical focuses on flexibility of the thighs, groins, chest, shoulders, groins, spine, abdominal muscles and neck. Individual who are suffering from any spinal injuries must not perform this Akarna Ddhanurasana Asana. Pregnant women also should not perform this asana and consult doctors. There is no need to attain this ideal position with the unbearable pain so you need to start from beginning stage. For performing the Akarna Dhanurasana, you can also do the preparatory asanas such as Virasana, Bhujangasana, Urdhva Mukha Svanasana and Setu Bandha Sarvangasana. After performing the Akarna Dhanurasana, it is convenient to follow up with the Ardha Matsyendrasana and Supta Padangustasana. https://www.vydya.com/wp-content/uploads/2012/01/akarna_dhanurasanam.png 910 1500 Megha Goyal https://www.vydya.com/wp-content/uploads/2017/05/vydya-logo-blog-340x156.png Megha Goyal2019-03-23 17:05:072019-03-23 17:05:07How to Perform Akarna Ddhanurasana and Benefits Of This Archer Pose Yoga!! Excellent Benefits Of Doing Anantha Sayanasana for Vericose Veins!! Anxiety Symptoms, Causes and Help from Regular Yoga Practice with Meditation! Find Provider at Vydya Health! How to improve your mental health? Health Benefits of Shasankasana (Rabbit Pose)! 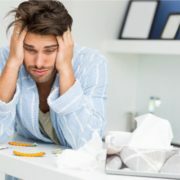 Home Remedies for Consideration for ADHD! 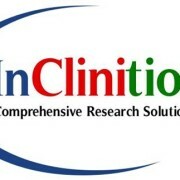 InClinition – Helping Organizations Create Innovative Ideas and Products for a Better Tomorrow! !